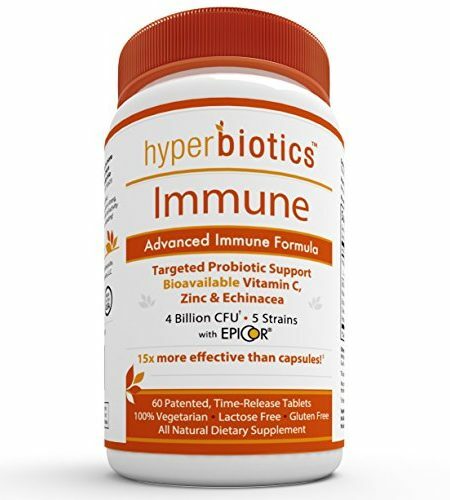 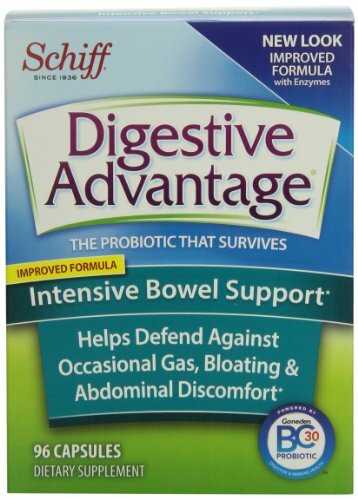 Digestive Advantage Intensive Bowel Support is a probiotics supplement with BC30 probiotic and digestive enzymes to defend against occasional digestive upsets such as gas, abdominal discomfort, and bloating. 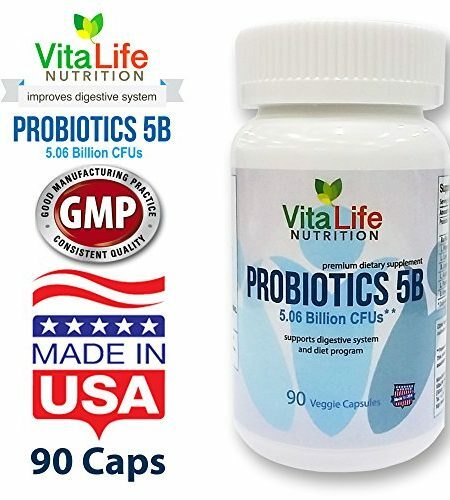 It also helps support long-term digestive health. 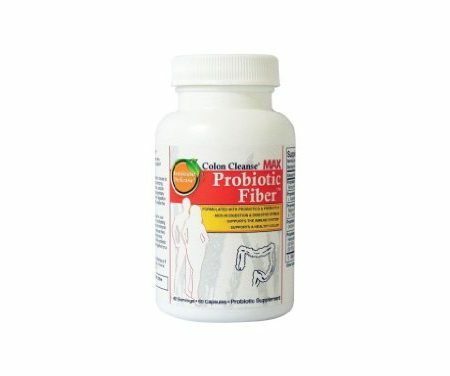 Studies show that BC30 probiotics and digestive enzymes break down proteins, carbohydrates, and fats to aid the digestive process. 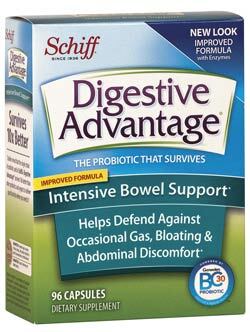 As a result, it helps defend against occasional gas, bloating, and abdominal discomfort. 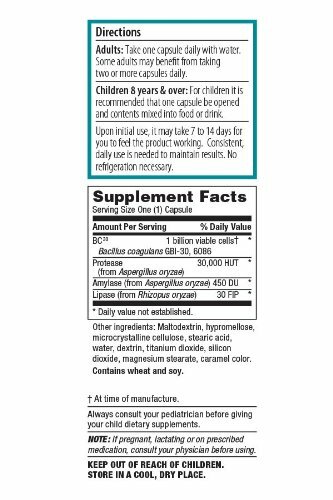 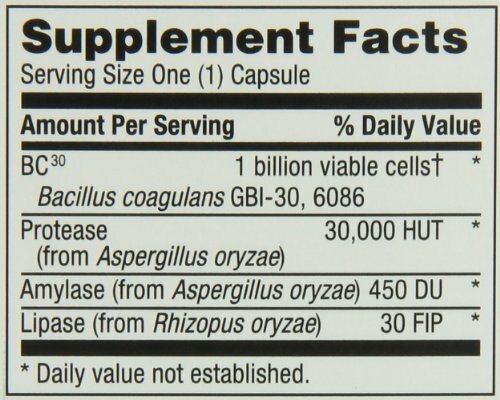 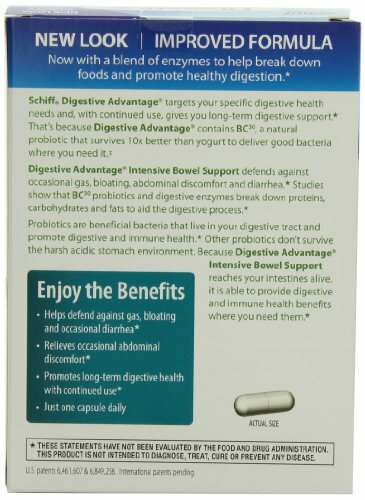 Digestive Advantage Intensive Bowel Support Probiotics Supplement, 96 Capsules.